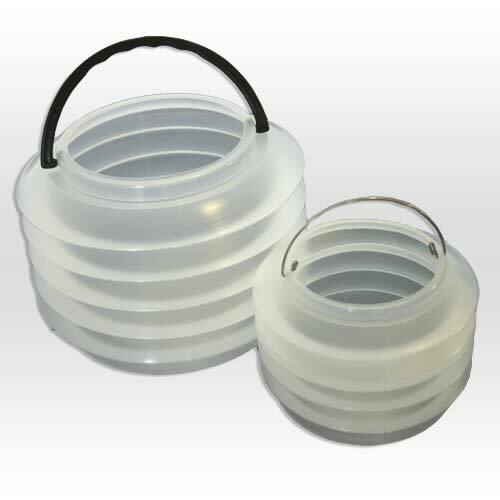 Collapsible plastic lantern-style brush washer Available in 2 sizes. 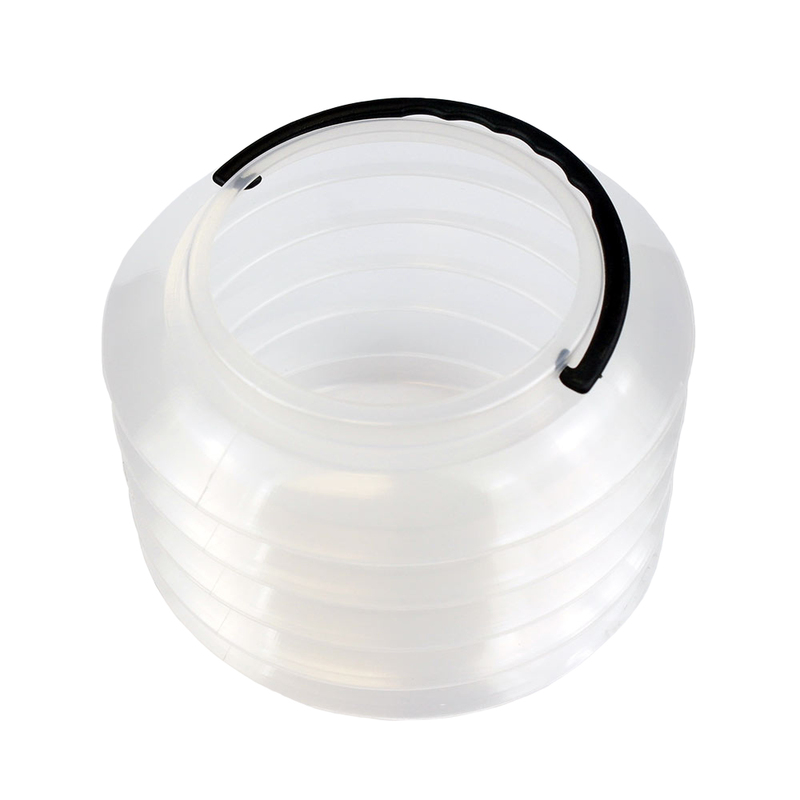 These waterpots are made from thin plastic and with use will eventually crack where the plastic folds. Ken Bromley's replies: If you find you have a waterpot which is defective, please let us know, so it can be changed. These items are made of thin plastic, they will fail after a fair amount of use. A good alternative which will last longer is the Faber Castel Clic & Go Water Cup which is on our web site.